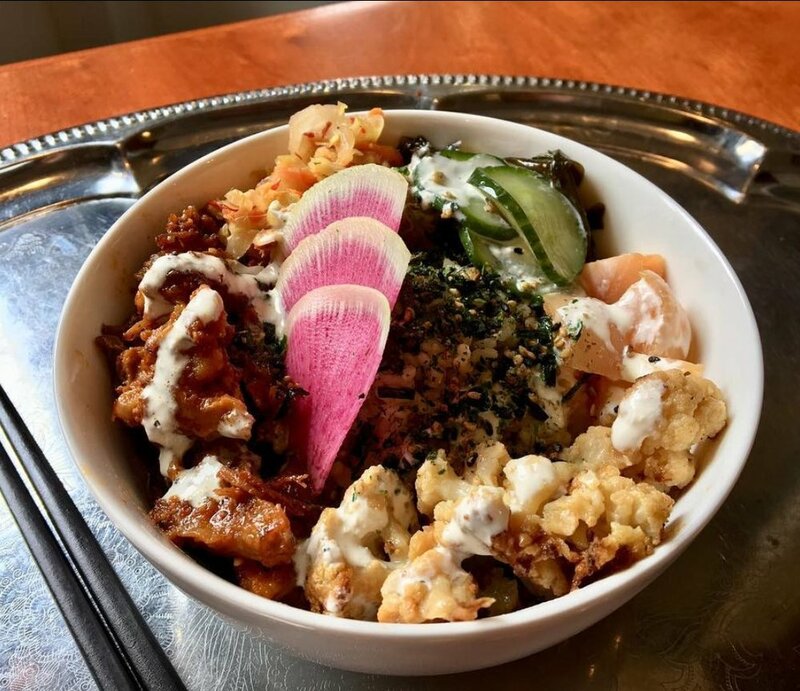 KOKU Cafe + Market combines rich, fermented foods with fresh, local ingredients to bring you a bold take on your favorite Donburi rice bowls, sandwiches & breakfast items served for breakfast, lunch & early dinner. Explore our full menu - we have a range of cafe drinks, including Red Espresso rooibos products, along with sweet & savory baked goods and breakfast & lunch dishes including what The Seattle Times calls "One of the best rice bowls in the city..." After you've explored a new dimension of flavor, take your favorite ingredients home with you with products from our market. The Seattle Times says KOKU has "One of the best rice bowls in the city..."
KOKU owners Miki, Luis, and Kurt developed the concept for KOKU when Kurt visited Japan in the summer of 2018. While staying with Miki and Luis in Tokyo, Kurt learned about the generosity and welcoming nature woven into Japanese culture. Miki and Luis wholeheartedly shared their appreciation for global foods and cultural experiences. One aspect that really stood out to Kurt was the Japanese cafes that tend to tie together several different cultures in their food, in the art they display on the walls, and in the music which plays in the background. Armed with such inspiration and a diverse skillset, Miki, Luis, and Kurt decided to bring this sense of shared cultures and generosity to a culinary concept in America. For Kurt, as Chef, KOKU represents the culmination of these experiences and his culinary background. He studied at the French Culinary Institute to learn classic French cooking techniques, worked in the southern United States where he grew to appreciate soul food, and spent time in Japan where he learned about the cuisine that focuses on balance and quality of ingredients. KOKU combines these ideas to represent a new take on comfort food which should be both immediately relatable and curiously unique. The name KOKU comes from the Japanese word kokumi, which translates to 'rich taste'. Kokumi represents the very essence of soul food, the flavor of heartiness and continuity, and is often found in the presence of fats, emulsions, and braised meats. KOKU is the perfect name for Kurt’s concept which stands for Japanese-inspired comfort food and beverages in a welcoming environment. We have several varieties of professional ramen bases, and they are all free of MSG. Heat and serve for a quick meal or get creative by adding proteins, veggies, or noodles. This high-quality sweet potato vinegar is crafted in small batches. We have other flavors available as well. It’s best used raw, as a salad dressing or drizzle on slaw or fresh veggies. This is the brown rice variety used in all of our rice bowls. It has the unique mouth feel of white rice which maintaining the health benefits of brown rice. This is accomplished by removing the hull and keeping the germ, which also leads the rice to cook faster. 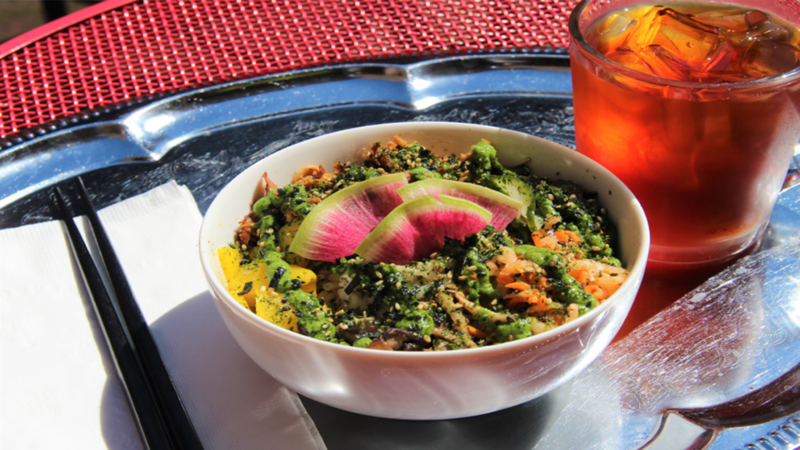 Koku Cafe - Seattle, WA rice & green bowls, breakfast, lunch, coffee, tea.